With the debate over the offensiveness of the Washington Redskins’ team name reaching a fever pitch — even President Obama has chimed in — ESPN columnist Rick Reilly has taken it upon himself to insist that Native Americans just don’t care. In an embarrassing, wrong-side-of-history column last month, Reilly quoted his father-in-law, a Blackfeet elder, as his primary evidence, insisting the man could just not understand the outrage. In a very public rebuttal today, Reilly’s father-in-law claimed he said the exact opposite. Awkward. 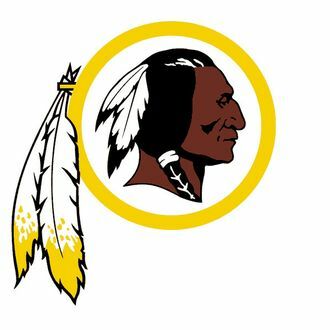 I’m supposed to swear I won’t ever write the words “Washington Redskins” anymore because it’s racist and offensive and a slap in the face to all Native Americans who ever lived. Maybe it is. What I actually said is that “it’s silly in this day and age that this should even be a battle – if the name offends someone, change it.” He failed to include my comments that the term “redskins” demeans Indians, and historically is insulting and offensive, and that I firmly believe the Washington Redskins should change their name. To make matters more uncomfortable, Reilly’s wife, Cynthia, has been known to do his reportorial wrangling. She should probably give her dad a call ASAP.